I’ve been living, breathing, researching fertility since that fateful phone call in April of 1992 that pronounced me hopelessly infertile. So with the New Year, as various publications are naming their choices of the best and brightest in the field of reproductive health. I thought this would be a fine time for Fertile Heart to honor the top three fertility specialists that have been my teachers in the last twenty years. 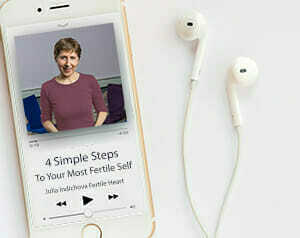 As some of you know, the Fertile Heart Ovum Work (aka IBOW Program) tools aim to increase fertility by encouraging people to feel, think, choose and act for themselves. Hence I have chosen from my many teachers the ones who have supported me in doing the same. Most importantly, they’ve modeled supreme fertility through the way they’ve lived their lives. In fact two of them are no longer alive and yet their work continues to be a living presence and an instrument of creation for countless seekers of wisdom and fertility in the deepest sense of that word. At the top of the list is none other than the celebrated fertility specialist, also a poet, novelist, essayist and activist Wendell Berry. Here is what he says about thinking for yourself. “If we have become a people incapable of thought, then the brute thought of mere power and mere greed will think for us.” (from his book, Leavings) This surely is eminently useful guidance in the multi-billion business of making babies. “If discontent isn’t channeled off to be repaired by the kind of psycho-therapeutic awareness that robs it of social and political, of historical dimension, the wide prevalence of unfocused unhappiness…could be the beginning of real knowledge… the knowing that would lead to a new version of human nature in this part of the world (Styles of Radical Will). In other words, it’s the Orphan in us, if we dare to sit and face her, that can show us which “new version of ourselves” is calling to be born next. Finally, few teachers have contributed to the fertility of our minds and hearts more eloquently than the late cultural critic, historian, astonishingly original thinker, the quintessential fertility specialist, Neil Postman. One of his most widely quoted lines is “Children are the living messages we send to a time we will not see. ” (The Disappearance of Childhood). Certainly, how we conceive and give birth to our children, how we unravel the thread of truth in the story of their conception and birth, will have much to do with what they will defend and stand for. The story we pass on to them will shape the kind of message they will embody. For now, this is the Fertile Heart short list. That’s not to say that I don’t value and celebrate every decent, caring fertility specialist and health practitioner who remembers the Hippocrates Oath of doing no harm and supports their patients in choosing the most life-affirming path to parenthood. But we do need to enlarge the circle of teachers to guide us as we grow into our fabulously fiercely luscious fertile selves. I’d love to hear your thoughts on this distinguished list, and perhaps you have a top-fertility specialist list of your own? Thank you for your words and the work you do that comes from your heart. I came across your book ‘the fertile female’ in December 2010 and read it once front to back within a few days. But I did not believe I would have the strength you describe in the book. I did not believe I had the power to engage with my visionary nor calmly listen to the needs of my orphans I did not believe in me. It was March 2011 when I revisited your book and checked you out and enrolled in one of your workshops. I was exhausted after 3 years of failed IVFs waiting for adoption and a failed donor cycle, and freaked out with my then 43 years old. It has been a long journey and the story is still being written but I am walking with you holding my hand and my beloved husband holding my other hand and feeling surrounded by all of your beautiful sisters who give me courage when I feel tired and unsure of the path to take. Thank you for being an inspiration and making me believe in me, in love and in life! God Bless you all! Alex. Thank you for this inspirational post. I have to agree with everyone else and say that you are definitely my top fertility expert. I use your tools everyday and the Fertile Female has been a true friend giving me words of inspiration when I need them most. I would also say that I hope through this work to learn to trust myself and find the fertility “expert” within me. I have also been reading Randine Lewis and really enjoying it. Her book complements Julia’s books really well–to me it provides some of the physical reasons of why imagery would work well on the fertility journey. I also love Neil Postman’s quote that you posted, Julia, “Children are the living messages we send to a time we will not see.” Sometimes I have the funny thought that books, art, and other things we create when we’ve come up with an amazing realization are our messages to our future selves. How we wish there would be guidance out there when we don’t know where to turn. And once we figure it out, if we write it down and put it in a place where it can be found in another tine, a future version of our own self might find it and make use of it as well. My husband has been a great fertility specialist for me, even though he doesn’t know it. He has ultimate faith in my new, creative ideas, as well as being an example for me in not spending time worrying about things that haven’t happened yet. He also finds happiness with whatever the current circumstances are. I haven’t mastered these things yet, but I am working on it. Thank you, Julia, for posting about your fertility specialists. You are my number one. I got both of yours books after my first IVF didn’t work at all and I was in very confused and depressed state. Your story inspired me so much and opened me to many opportunities that I just didn’t see before. Only when I started doing regular imagery exercises I was able to hear my internal voice and coming to realization that I am myself can be a specialist and can also be first of all nourishing mom to myself. I am just starting making decisions for myself and trying to give the body and the soul what they need the most at each given moment. It is a very interesting experience. Thank you! Thanks for sharing your top specialists Julia- love their quotes. And Suzanne- very exciting to hear where you are in your journey! I have been blessed by many teachers/specialists in my life who have encouraged and supported me to step into my own life force and power. I am new to this site but I can already see very deep and profound work that happens in the community and I am excited to take the next steps on the Fertile Heart path! Like you P., books including the Fertile Female and Inconceivable, have been my guiding light. I found myself drawn to the hope and inspiration they provided. With the knowledge I have gained from them, and much support, I have started living as my own specialist – one who is open to feedback and guidance, but ultimately makes her own decisions. I feel blessed to have many teachers who seek to empower and support, and Julia Indichova is undoubtedly one of those people. Thank you for sharing this Julia. I have to say you are on the top of my list as well. I have read The Fertile Female a few times and continue to find inspiration and truth each time I read it. Thanks for posting this Julia. I haven’t heard of these specialists but I will check them out!! For me I did realise quite early on that the doctors who I had put all my faith in did not always have the right answers and I began my own search for specialists. The ones I have found inspiring as well as Julia Indichova are Zita West (UK) and Randine Lewis (US). They have been life savers!! Thank you, Julia, for sharing your fertility specialists with us. You are on the top on my list as well. I love that “children are our messages to the time we will not see.” I also am guided by religious leaders who speak of possibility. Thank you for sharing this! I have not heard of any of these specialists but I will investigate them now!! At the beginning of my journey my first specialist was the top man at the fertility clinic whom we waited weeks to see. As it turned out much later, he was accurate in his diagnosis but not his treatment and his theories were dismissed by other specialists! It was certainly an eye opener discovering these people who we put our trust in don’t always have the right answers! At that point I started to think for myself and with the help of several books my specialists became yourself Julia, Zita West who is well known in the UK and Randine Lewis, US and enabled me to start taking more control. Its still a learning process, learning to believe in ourselves but it is vital to our fertility journeys. Thank you for reminding me of the power of words, of how inspiring a wonderfully written text can be. Books have been my parents and my companions when I was extremely lonely in this world and are still my teachers any time I need to find a space of hope and faith – and so it was your book when I first found this community. Thank you for reminding me of the thousand ways we can be fertile and that there is one in particular that will suit each of us. Suzanne, your post was so beautiful. Julia, you are at the top of my list, also. I am starting to add myself to that list, but I am not quite there. The act of listening to my UM and Visionary are a work in progress for me. Some days are clearer than others. However, even though I am not ready to consider myself a fertility expert, I am learning to think, choose and act for myself which is a perfect start for me. I love Wendell Berry and his poems. I too have felt his inspiration of living a life led by heart and passion. I don’t know of the other two that you have listed but it’s great to know that they have been important teachers for you. I am finding more and more of my own fertility specialist that lives here right inside my own heart and body and I’m learning to trust that expert the more that I experience the wisdom in it’s truth. Julia, thanks so much for providing the tools and the community to truly celebrate our own truths. I sooooooo love the idea of this post and your quotes. I love the way you are honoring your teachers here. Following your example I’d like to share a quote from my #1 fertility specialist’s book. “Though your best friend or teacher might sense your talents, the only magician that can reach in and pull out one shiny scarf of creation after another is you. And if you continue to reach in, what you draw forth will never cease to astound you.” It’s of course from The Fertile Female by Julia Indichova. It’s one of the hundreds of lines I underlined when I first read it. I contine to read that book and do my Ovum practice now that I’m a mom. I didn’t realize it’s been 20 years! That’s a long time, thank you for your dedication, Julia! THanks for this amazing blog topic Julia – it so resonates with me. I have learned in life that everything is really so intertwined that having a baby could never be just about getting a sperm and an egg to connect. My parents did that three times but never were really parents. And fertility specialists just the same. Fertility is so immense as is being a parent and being human. Julia you would have to be on the top of my list not because you will actually be the one to get the sperm and egg to connect for me but because you taught me how to figure out how to help myself do that. It’s “an inside job” right? My list would continue with all of the people I met and all the books I have read on this journey many of which never knew it was helping me face why this longing was so strong in me and that it was connected to so much in my whole being and even my ancestors and the future of my cells and spirit going forward in a new creation. Well I gotta pack – I am moving (shifting) and it is wonderful! Suzanne — your post was lovely and I’m not sure what I can add. Julia, you would also be my number 1 fertility specialist. I am still experiencing new levels of awareness about myself and my longing for a child since the December workshop. Thank you Julia for your commitment to this work. I also would add myself and all Fertile Hearters (you especially Suzanne) to my list of top specialists… we are our own best experts. Julia, I haven’t read the writings of the specialists on your list yet but will add them to my 2012 reading list. I’m sure they will be inspiring. Happy New Year! Well-i think you, Julia, would be at the top of my list followed by my coach who said to me before i met my husband, “it only takes one man suzannne, that’s it”. And, from that, I garnered, “it only takes one egg Suzanne.” and one sperm of course but since i am 43 and wasn’t always ovulating regularly, i reminded myself and all of those around me of this. So, i guess i would also count myself on this list and this community. With much support, i was one of my #1 fertility specialists and so was my husband who supported me all the way. Find this people, question them and believe in them, and treasure them. they will be fewer than the insurance companies and procedures you can get signed off on from the insurance companies. fewer than the books you can read on fertility. fewer than the people who will give you all kinds of opinions on fertility, conception and having a baby and fewer than the statistics you will find to support medicated births. And, in those few i found a quiet strength that helped me to get where i am. 9 months pregnant and awaiting my baby. Julia and everyone, thank you. I will never forget the love and support and strength that you gave me throughout this process. Your voices were and always will be stronger than the “widely held opinions” out there. God bless.